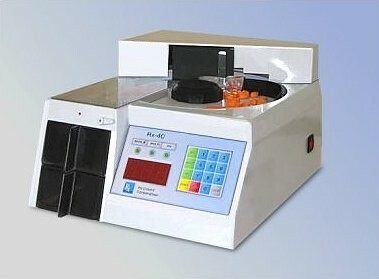 New Rx-4 Bench Top Tablet and Capsule Counter. Features: Hands Free Counting, automatically determines the shape and size of every tablet/capsule, Ideal for counting inventories, filling prescription and pre-packaging vials. Comes with a Fully Integrated Touch Pad, Digital Display and is manufactured in Durable FDA approved plastics. Counting Speed of approximately 500 per minute. Overall Dimensions: 5 ½” H x 10 ½ W x 12 ½ L. Electrics: 110Volts. Delivery Timeframe: approx 1 Week from receipt of payment.